Before you splash on the sunscreen for a day at the beach, check out its list of ingredients. If it contains titanium dioxide, you might want to think about getting another brand of sunscreen. If you care about marine life, you may want to take a closer look at the ingredients in your sunscreen. A new study has revealed that titanium dioxide, an ingredient found in some sunscreens, has the potential to harm marine life. Although it is safe for humans if it is at the concentrations used in sunscreens, concentrated titanium dioxide or long-term exposure to it can be toxic to fish and other marine animals. This finding was presented last week at the Goldschmidt geochemistry conference in Boston. Data for the study was obtained at three beaches near Marseille in France, as well as via surveys with bathers about their sunscreen usage. According to lead researcher Dr Jérôme Labille (Labex Serenade / Aix-Marseille Université / CNRS, Aix en Provence, France), although some of the titanium dioxide pollution will be dispersed, the chemical is expected to accumulate in the seashore littoral, and affect the wildlife there. For areas like lakes or seawater swimming pools where the water is stagnant, the accumulation is expected to be much more pronounced. Of course, the solution is not to stop using sunscreen. It is necessary to block harmful UV rays. Rather, as consumers, we should take a closer look at the ingredients used to make our sunscreens, and make the right buying decisions. At the same time, manufacturers should strive to develop products that minimise this pollution. 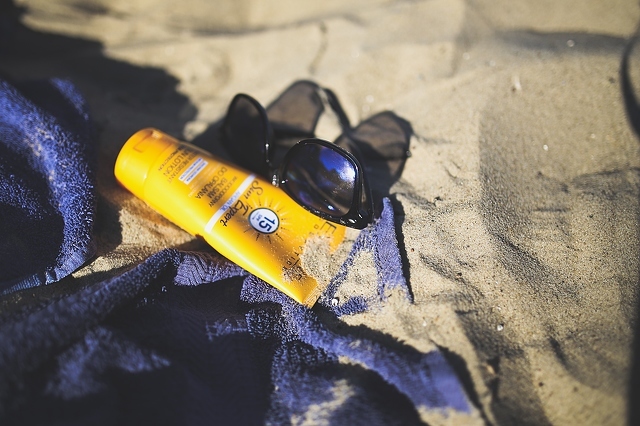 "The good news is that we are working on nanoparticle UV filters and sunscreen formulations which will reduce the potential damage from titanium dioxide. We're looking at developing sunscreens which are "safe by design" in which the release and toxicity of nanoparticles will be minimized, so we anticipate that a solution to this problem isn't too far away," said Dr Labille. Titanium dioxide in our everyday life; is it safe?